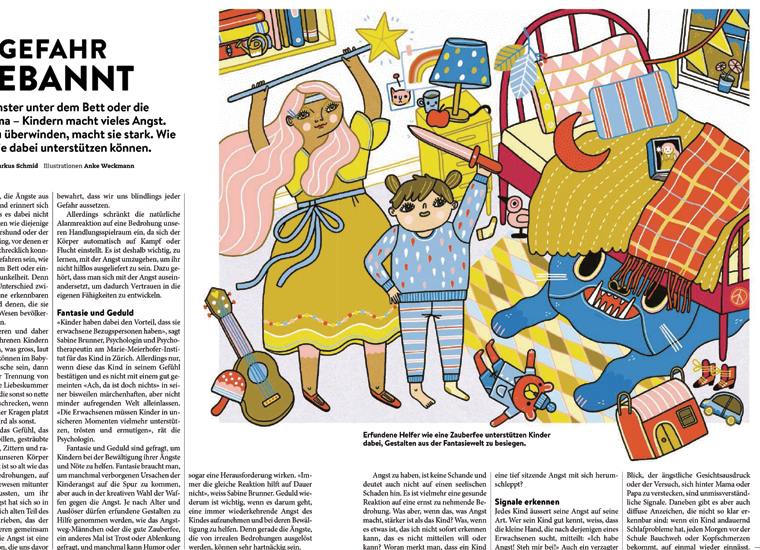 In February I illustrated another article for Schweizer Familie magazine, I've been lucky to draw such fun things for them! 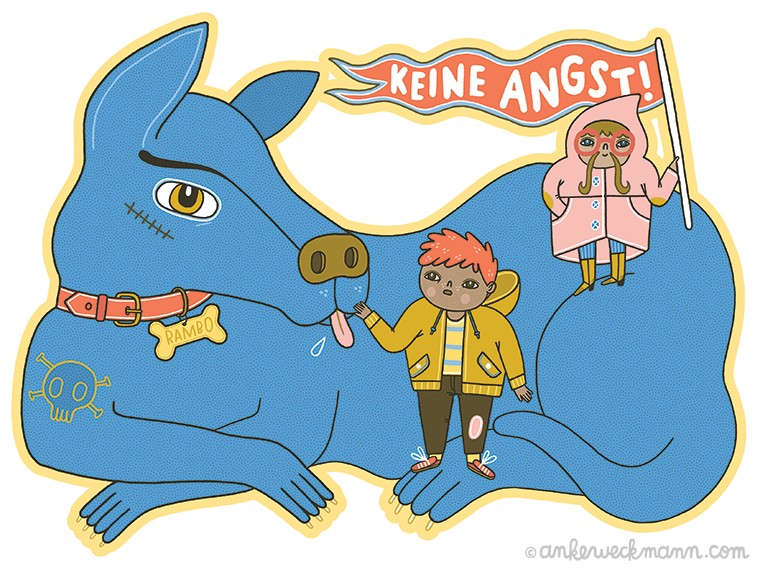 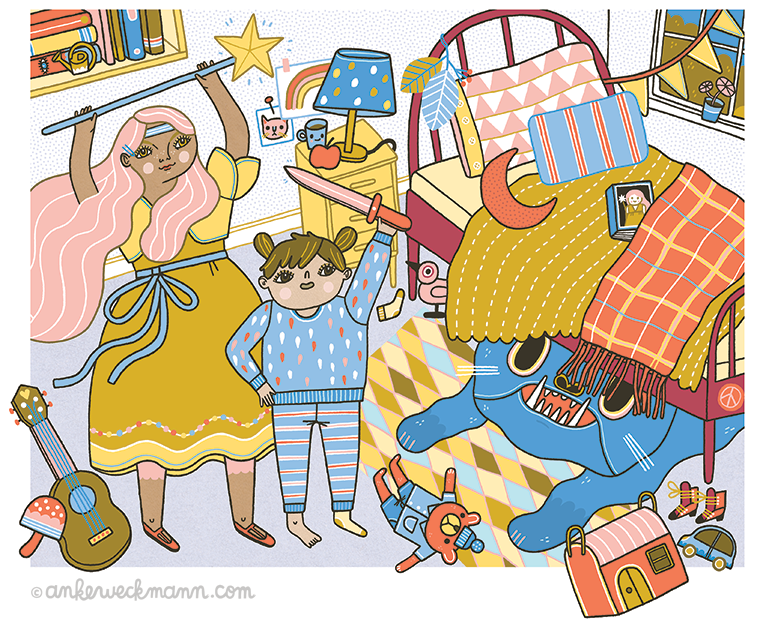 This article was about childhood fears - obviously fears are not fun, but drawing these illustrations definitely was! 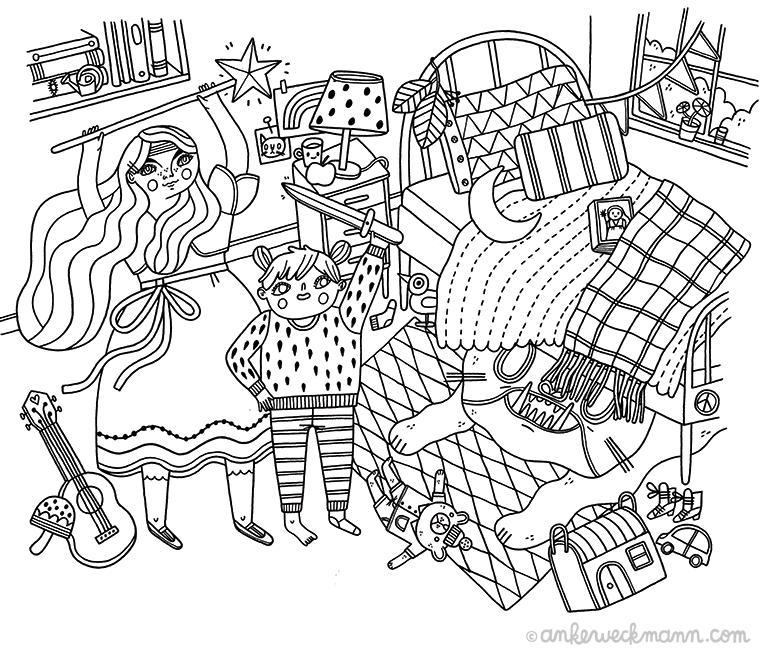 I love seeing other artists' process so here's another behind the scenes peek. 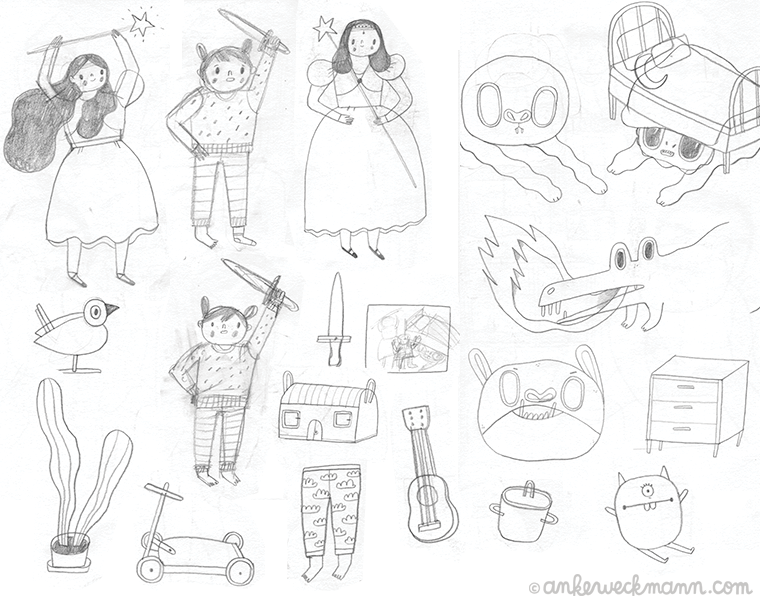 Here are some sketchbook drawings I did for my initial research, the roughs I sent to the art director, my inked drawing (I ink all my illustrations on paper) and the digitally coloured versions - as well as how it looked in the final layout of the online version of the magazine.